pier at a friend's camp on the lake in Slidell. me, in the parking lot of the White Kitchen. her hair...who always squealed with delight when the car turned into the parking lot. 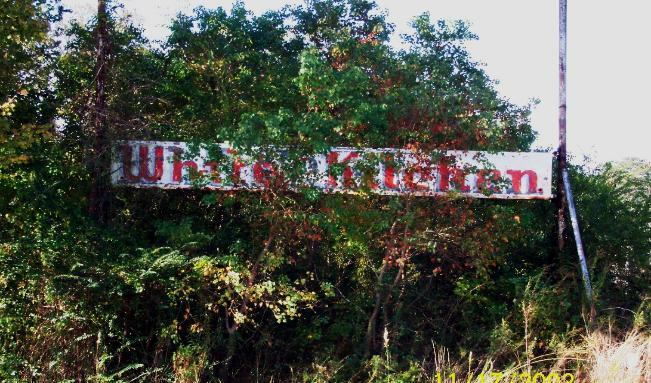 Melinda Tucker captured this image of an old White Kitchen sign along Highway 190 in 2003.
the once-popular restaurant. Many thanks to Melinda for sharing this with us. pretty much gone right out of the open window of that old Pontiac. putting any coins in the machine? No problem.